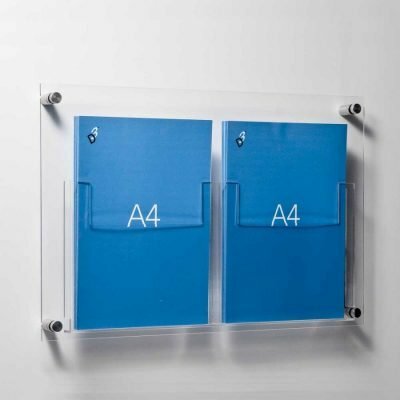 Clear acrylic leaflet holders with aluminium feet. Three options for A4, a5 and DL literature sizes. 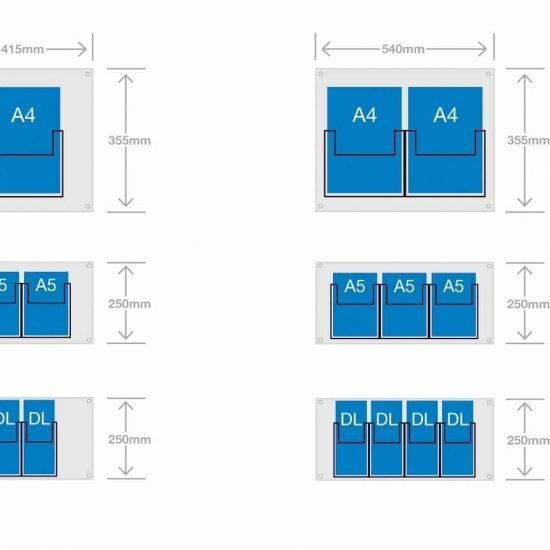 3mm clear acrylic holders for table top. 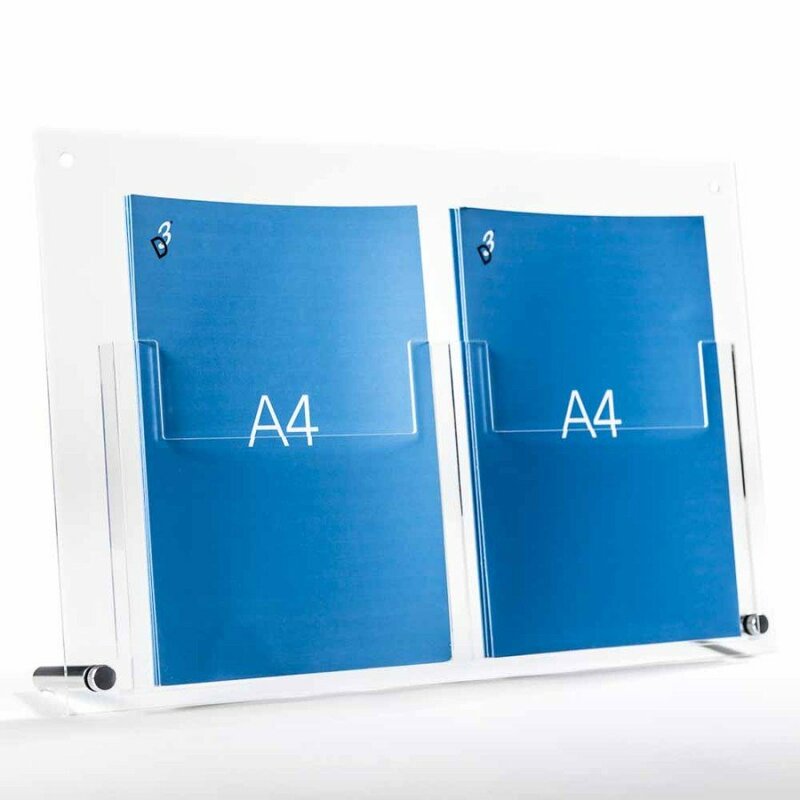 We have a range of standard size leaflet holders in standard document sizes A4, A5, and DL. 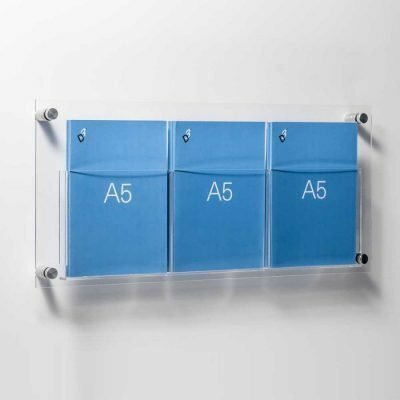 These table top leaflet holders are made from 3mm high impact clear acrylic. 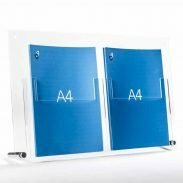 Our A4 brochure holder acrylic table top units let you display A4 literature on your desk or tables in your office or exhibition stand. 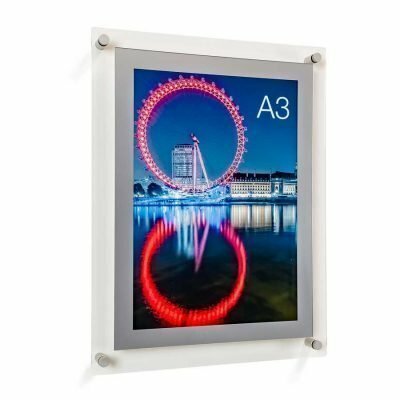 The high-quality finish of the materials makes them suitable for public areas, including corporate offices, meeting rooms, showrooms, events spaces. 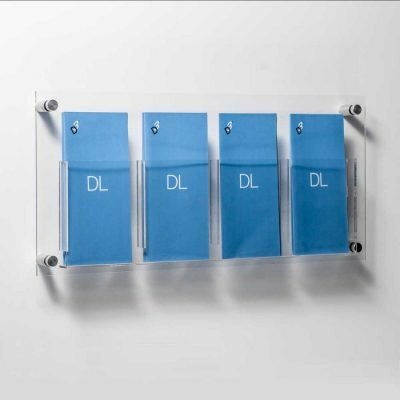 All desktop leaflet displays have 20mm deep acrylic pockets. 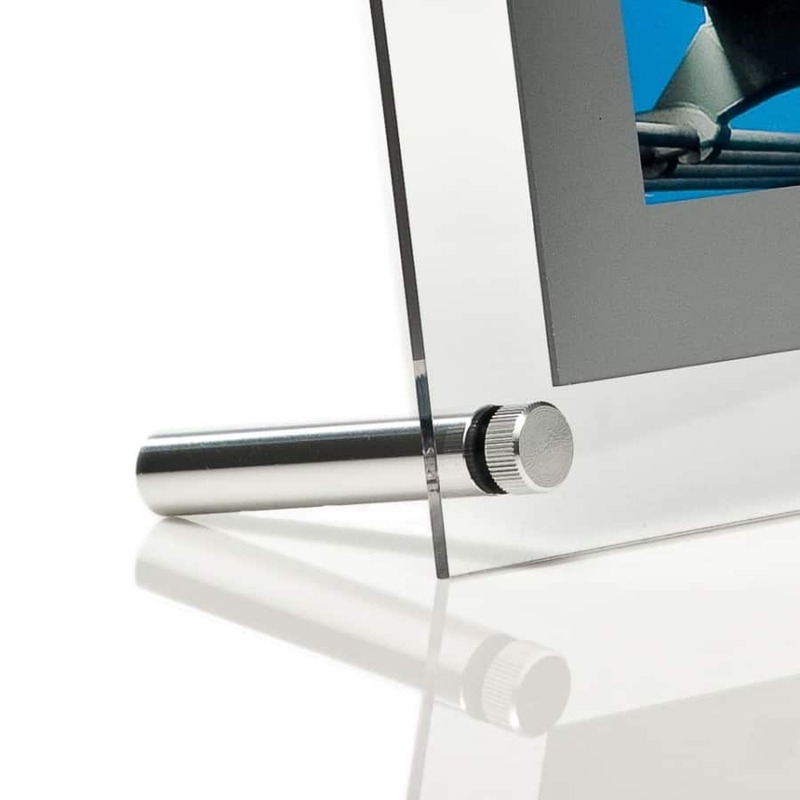 They are supported by chunky aluminium feet. This ensures a consistent look if you require both table top brochure pockets as well as floor standing versions. 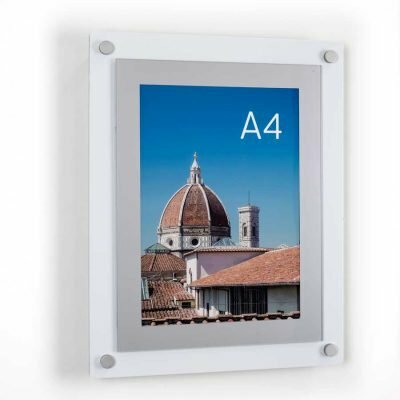 The table top leaflet holders are a high-quality literature display. 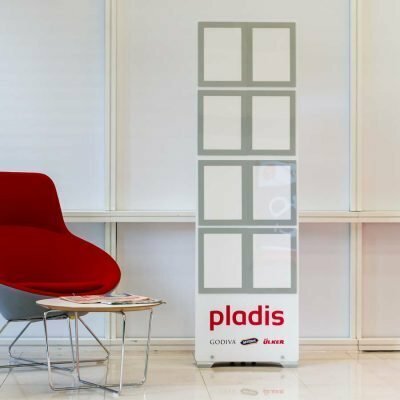 Its ideal for displaying brochures on large exhibition stands, in marketing suites or reception areas. A5 and DL acrylic table top stands are also available. 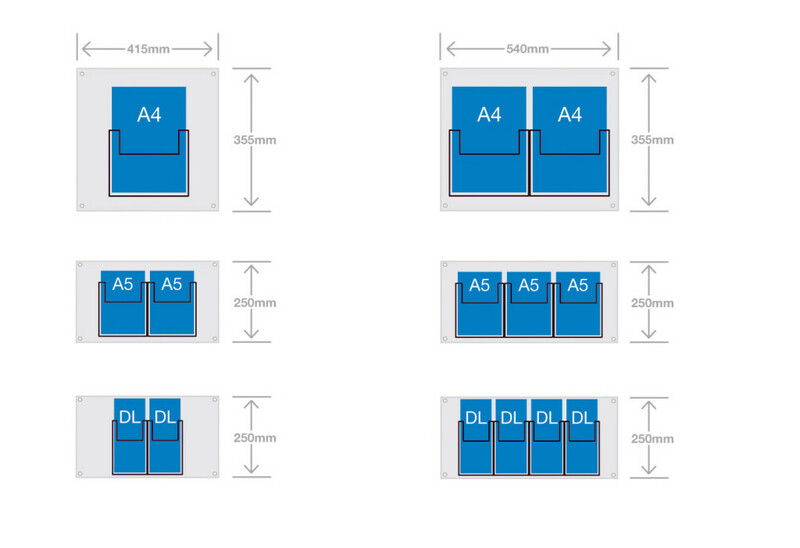 Useful if you need dispense other sizes of leaflets and want a consistent look. 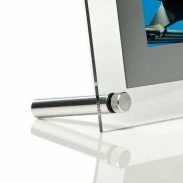 Dealing directly with manufacturer means you get the best prices and quick friendly customer service from our London office. 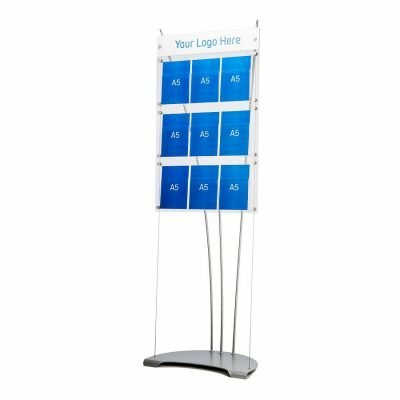 A5 acrylic table top stands are usually in stock for next day delivery. 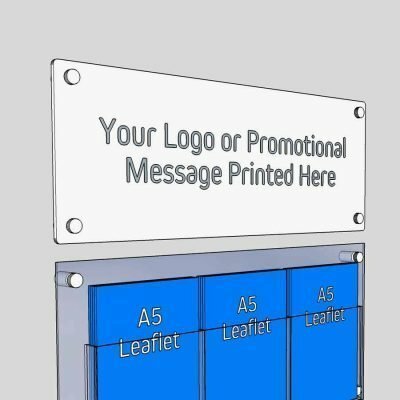 Quantity discounts on table top leaflet holders. Order 2 – 4 units and receive a 5% discount. Order 5 – 9 units and receive a 10% discount. Order 10+ units and receive a 15% discount.